« Did Universal Orlando Make Another “Epic” Mistake With The New Harry Potter Roller Coaster Artwork? As a fan of theme parks, there are dozens of ways to express your interest in the subject. Some start websites and YouTube channels, others create fan art and then there are also a ton of books out there. When the creators of “The Happiest Place” contacted me to review their Disney Park inspired graphic novel, I jumped at the chance. To be clear, “The Happiest Place” is very much an adult’s only graphic novel, even if it is inspired by Disney Parks and events. If you’re familiar with other adult graphic novels like “Watchmen” or “Sin City” you’ll know what I mean. 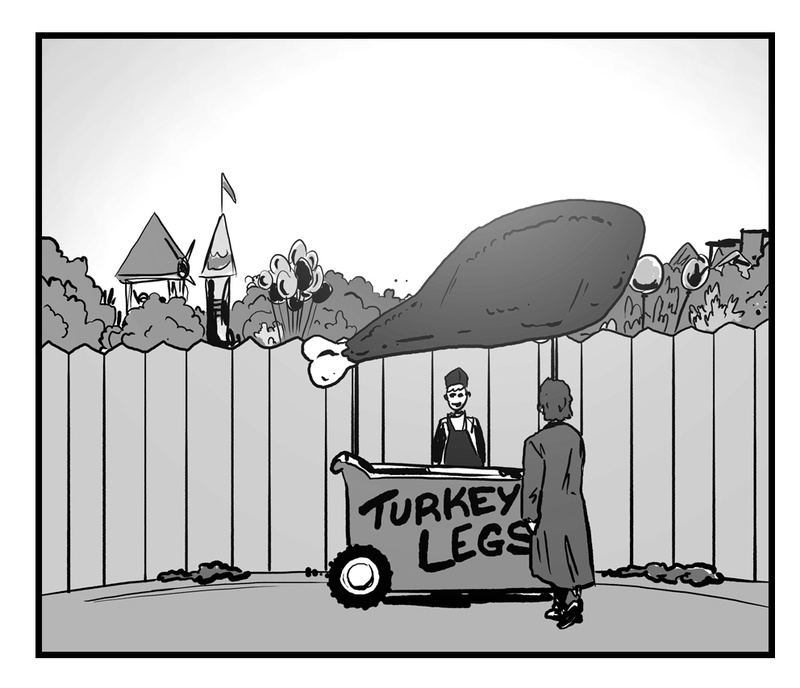 The story follows a detective through a familiar looking theme park to find out what happens behind-the-scenes and what lengths they go to in order to keep the park goers “happy” at all costs. 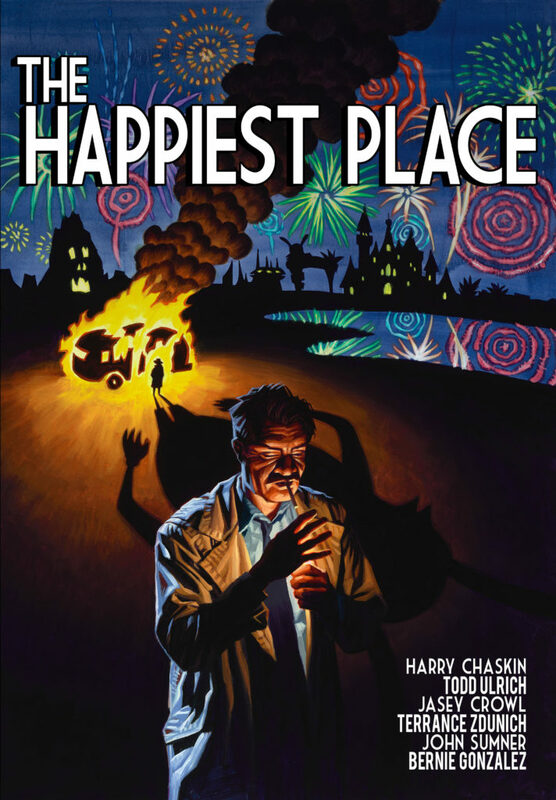 I recently got a chance to chat with the writer of “The Happiest Place”, Harry Chaskin. Check out our interview below! 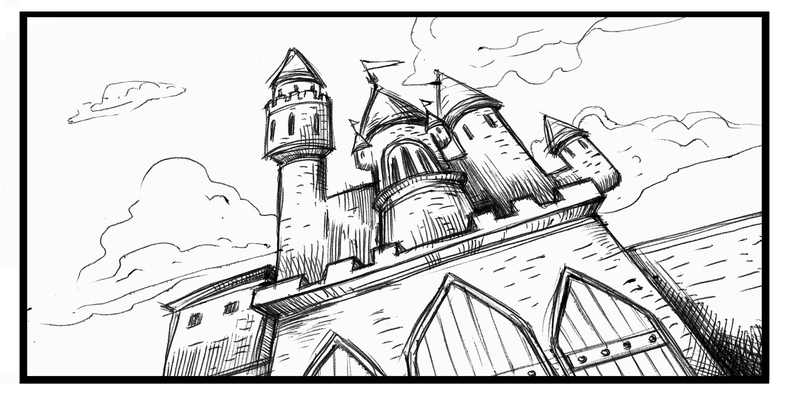 How did you come up with the idea of a Disney-inspired fan fiction graphic novel? A few years ago, I was visiting a certain theme park with some friends. Immediately upon entering, a uniformed security guard emerged from seemingly out of nowhere and began to interrogate us like it was an episode of Dragnet. I don’t recall what he thought we were up to but the guard carried himself so officially, I became fascinated with the idea of park security and the secret goings-on backstage. How long had they been watching us? Was it because of how we were dressed? Do these guys thwart credible threats on a daily basis? There’s an inherent absurdity in the juxtaposition of such a serious job existing in so fantastical a place, and I loved the idea of finding the mundane beneath the magical. There are six different artists representing different chapters in the book. How do you all know each other? It was a true pleasure collaborating with the eclectic team of artists on this book. Some are close friends with whom I’ve collaborated on other projects in the past, others are artists I admire and simply cold-called to see if they were interested in working together on this crazy story! While Harry wrote the narrative, did each individual artist help guide the story through their particular style of artwork or influence? Definitely! I tried to ‘cast’ each chapter based on what I feel each artist brings to the table tonally. Jasey Crowl, for example, has a wonderful style that reminds me a little bit of Mike Judge’s animation, so he tackled one of the more sardonically funny chapters. Bernie Gonzalez’s artwork, conversely, has a moody and angular look that evokes classic film noir, so he took on the final chapter where the mystery unfolds and all the dark secrets are revealed! I drew thumbnail layouts for each page, mostly to wrap my brain around how to tell the story, but each artist really made it their own. A common theme found throughout the book seems to be the image Disney portrays versus what goes on behind-the-scenes. Why do you think this is so intriguing to so many people? People are always intrigued when you say ‘pay no attention to the man behind the curtain!’ I think it’s the idea of something going wrong in a place where nothing bad is ever supposed to happen. From the ‘cast members only signs’ to the ‘no see ’em green paint’, Disney is constantly reminding you that there is plenty hiding just beyond the forced perspective veneer. Anyone who stops to think about it has to realize the tremendous amount of effort, skill, and artistry involved in creating the illusion that magical things are happening spontaneously. What was the inspiration for creating “The Happiest Place”? Was it other graphic novels? Other Disney-inspired fan fiction? The book has a little bit of everything I find interesting. It pulls from film noir, body horror, classic rubber hose animation and, of course, theme parks. 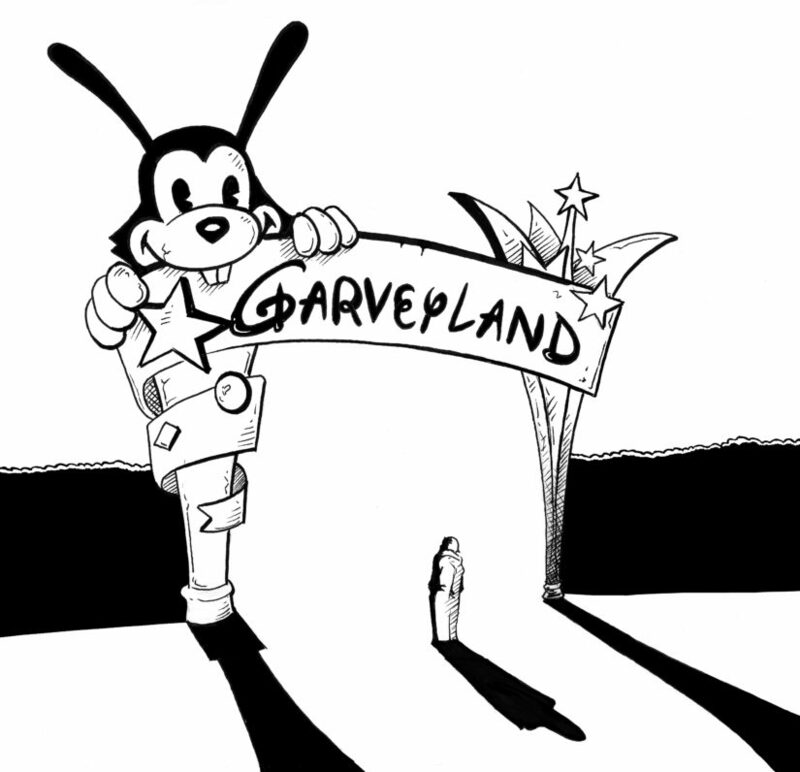 It is also inspired by the writings of Jean Baudrillard, who was obsessed with Disneyland as an example of simulation. Finally, what do you hope people will take away from “The Happiest Place”? Thanks to Harry Chaskin for our exclusive interview! Interested in purchasing a copy of “The Happiest Place“? Click on the Amazon link below! Anytime you buy something from Amazon by using the links on our page it helps support Theme Park University and costs you nothing extra! This entry was posted in Disney and tagged Disney fan fiction, graphic novel, The Happiest Place. Bookmark the permalink. Trackbacks are closed, but you can post a comment.